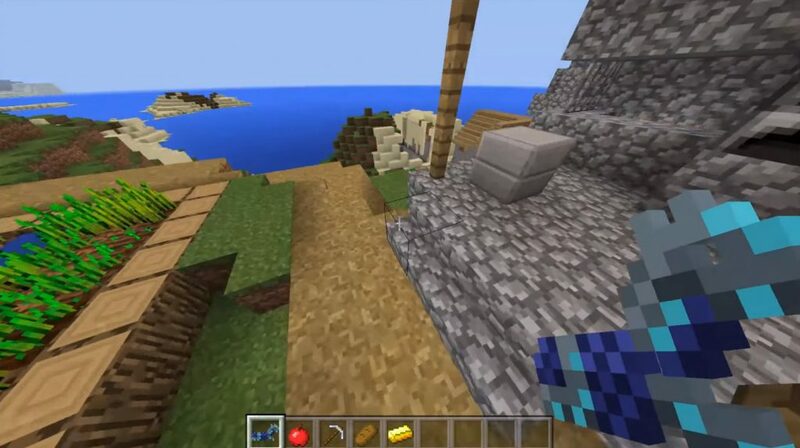 Not far from the spawn you will find a Double Village & Dungeon in which you will find a villager. This led will be useful for you if you use the mod to trade in Minecraft PE! Also under the village there will be a dungeon, where you will find two more chests. The neighborhood of the village is very beautiful and requires detailed study. Since you will find a lot of huge mountains that hang over the ground.